Raineri Aged "Reserve" Balsamic Vinegar come from the clever combination of cooked must from selected vineyards in Emilia Romagna. It has a deep brown colour,clear and bright,with characteristic aroma,persistent,intense and delicate.pleasantly acetic with woody notes of the oak barrels in which it is matured. The taste is sweet,balanced,long and pleasant. Ideal for seasoning meat,salads,cooked vegetables or combinations more delicious with Strawberries or Parmasan. There are 109 products sold. 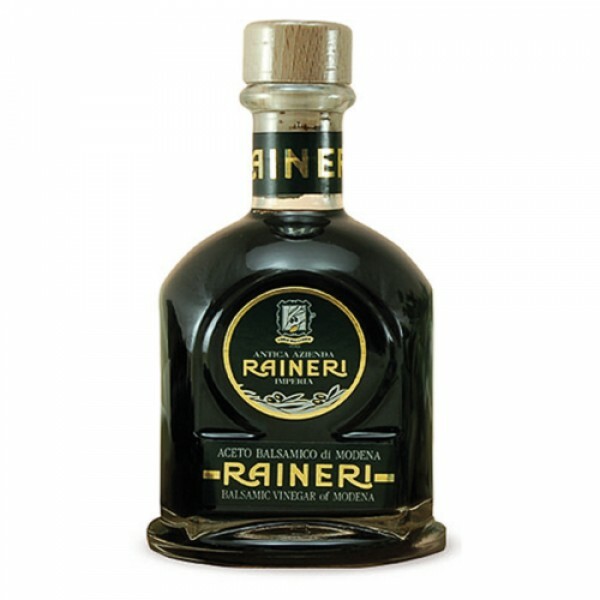 A very good quality balsamic vinegar by Antichi Colli Of Modena,matured and seasoned for approximately 9 years,ideal for salads,grilled meats,roasted vegetables..
We are very pleased to welcome back an old friend to Camisa, Raineri of Liguria who produce some fantastic olive oil. Here we have their Oro di Frantoia..